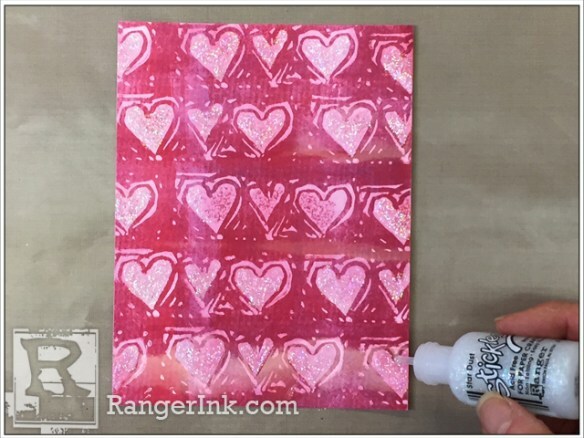 Step 1: Apply Stardust Stickles to background hearts. (No need to put on the hearts in the center, since the cutout heart will go there.) Set aside to dry. 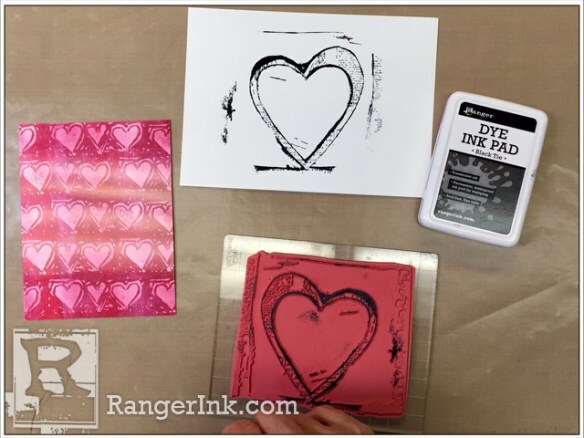 Step 2: Stamp large heart with Black Tie Ink onto Gloss Paper. Step 3: Cut out heart. 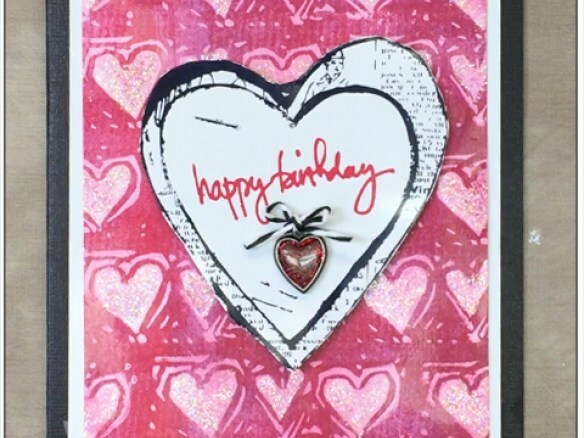 Step 4: Stamp “Happy Birthday” onto heart with Classic Cherry Ink. 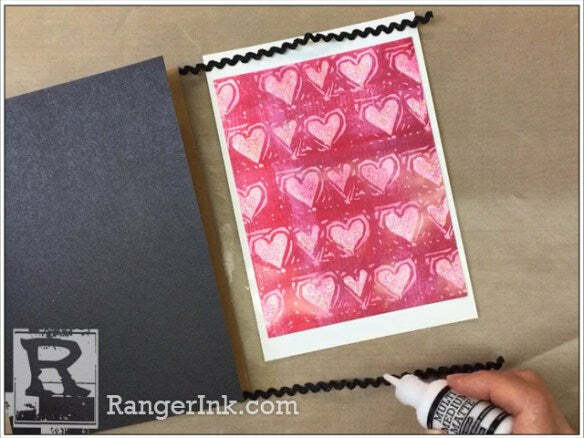 Step 5: Cut Black Cardstock into a 8.5 x 5.5 rectangle. Score in the middle and fold in half to create a 4.25 x 5.5 card. 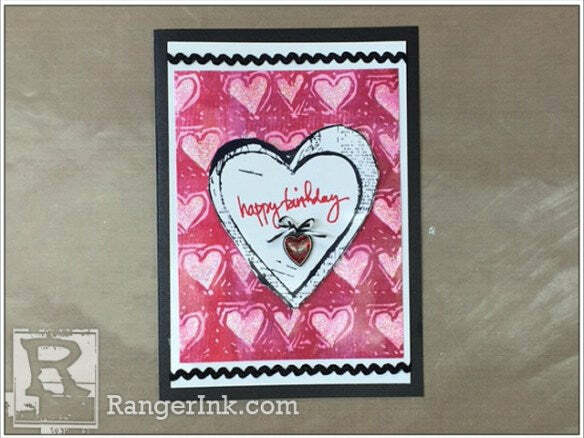 Glue heart background to center of a piece of Gloss Paper cut to 3.75” x 5. 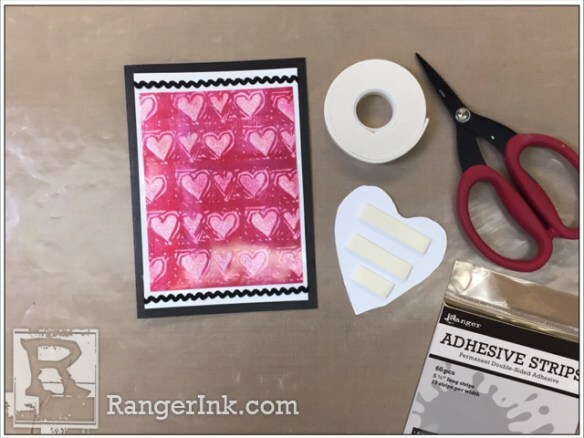 Using Adhesive strips. Glue Black Halloween trimming as shown using Matte Multi Medium. 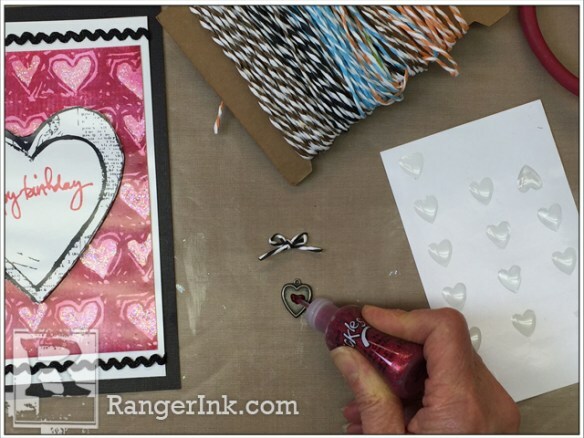 Step 6: Add Foam Adhesive to the back of cutout heart. 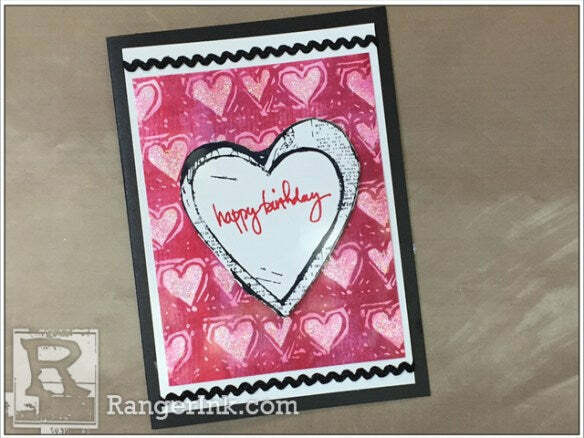 Step 7: Apply heart to the center of the card. Step 8: Cut a 5” length of paper string and tie in a bow. Trim ends. 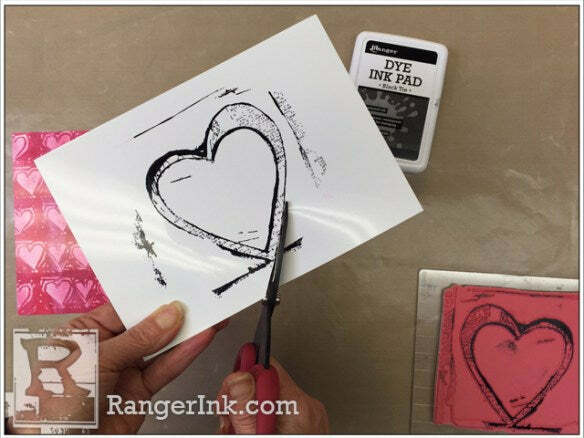 Apply Christmas Red Stickles to the center of the heart charm and let dry. Step 9: Place Resin heart onto of charm. 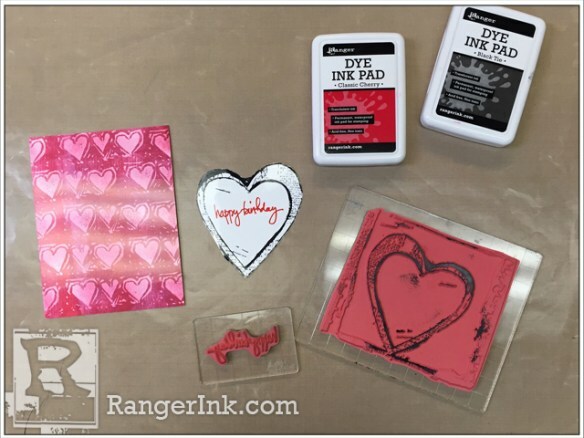 Glue charm and bow to cards as shown.